Draws moisture and perspiration away from the skin, transferring it to the next layer, retaining a warm layer of air next to the skin. Discontinued Colours/Sizes On Special: Draws moisture and perspiration away from the skin, transferring it to the next layer, retaining a warm layer of air next to the skin. Made from Dupont Thermastat yarn, 170gsm and made in New Zealand. For active use such as skiing or canoeing. All strips and selected colours on special @ $24.90 while stocks last. Draws moisture and perspiration away from the skin, transferring it to the next layer, retaining a warm layer of air next to the skin. Lock in body heat with the Thermadry Thermerino undwear series. A natural insulator, if this garment gets damp you won't be cold. The fabric is highly breathable and wicks moisture rapidly away from the body. 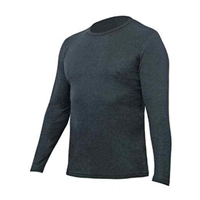 This Super Fine Merino garment incorporates all the qualities you demand for a multitude of use: high performance, easy-care, durable and multi-functional. Uniquely, with all these features, Merino is eco-friendly, leaving the lightest of footprints on our planet. "Durable hard wearing work clothing" Trev's Mate Country Wear garments have been designed for the individual who puts in a hard days work. 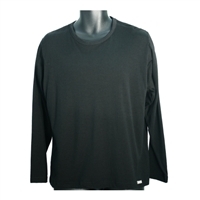 Made from high quality 100% Wool, these garments are tightly knitted to minimise fabric wear and maximise durability. The Trev's Mate range has proven its worth in the harshest environments since its launch in the 1990's.